Winter means that Christmas is just around the corner and that equals to a lot of xmas parties/drinking, which some of us find a little tricky to keep up with. 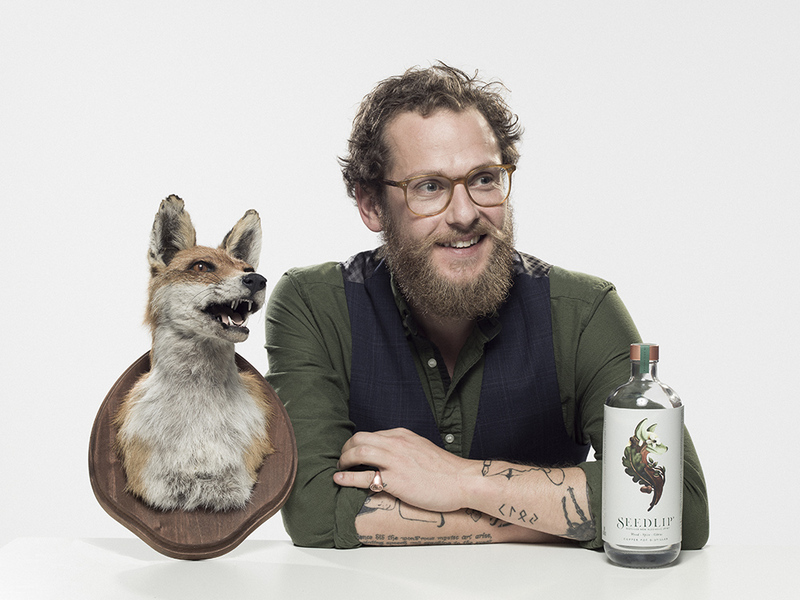 So I caught up with the founder of Seedlip, Ben, to find out more about the non-alcoholic spirit brand. Something that I thought a lot of you would find interesting as there seems to be a lot of bloggers and blog readers who have picked the option not to drink. Having tried the drinks myself you wouldn't never be able to guess they were alcohol free. What's even better is that no one will ever have to know that you're not really drinking a G&T and there's no hangovers! YAY! For those who aren't familiar with the brand, would you be able to tell me a bit about you and your story? Seedlip didn’t actually begin as a business idea at all! Whilst looking into forgotten herbs and spices to grow at home I came across a book online written in 1651 that documented distilled herbal remedies that were non-alcoholic and out of sheer curiosity bought a little copper still, went to see King George III’s original copy in the British library and began experimenting in my kitchen. It was only when I began to understand that the world was actually at the beginning of a paradigm shift in what we’re drinking that the mission to create the world’s first distilled non-alcoholic spirit, solve the dilemma of what to drink when you’re not drinking and continue my family’s 300 year legacy of working with the land was born! Why did you decide to create a non-alcoholic spirit? If you’re not drinking for whatever reason, the options on offer lack any of the ritual, ceremony and sophistication that you find with alcoholic drinks and so creating blends and serves that allow people to feel part of was important. No more fruit juices, fizzy sugary drinks or sweet mocktails! Your drinks are obviously inspired by natural plants and herbs but was there a particular place you drew inspiration from? My inspiration came from two places: 1. The 1651 book “The Art of Distillation” that documents distilled non-alcoholic herbal remedies and a wealth of ingredients like the Jamaican all spice berries we use [back then called bayberries] that were discovered by Columbus in 1494 [hence the 94 in Spice 94] II. Memories of time spent on our farm with my grandfather. Our second product Seedlip Garden 108 captures those summers spent with him as a child eating our peas fresh from the pod. Seedlip Garden uses our handpicked peas and hay as well as rosemary, thyme, spearmint and hops. The design of the bottle is so pretty, the copper detail on the top is a really nice touch! How did you come up with the bottle design? I wanted to find an aesthetic to really celebrate our love of nature, both with the ingredients we use and some of the animals that roam wild on our farm. I found inspiration in two things: I. The beautiful botanical drawings of the 18th century II. The incredible macro photography of Karl Blossfeldt Working with our design agency Pearlfisher we were then able to blend our respect for our individually distilled ingredients with symbolic countryside animals to fully champion both flora and fauna. You're clearly a very design led brand, which other companies or products do feel are like-minded? I love Aesop, Farrow & Ball, Cereal Magazine, Larsson & Jennings. Their pride, flawless simplicity and attention to detail are hugely inspiring! I like to think we’re like minded! What's your favourite mocktail recipe to use with Seedlip? Monday to Wednesday after work there is nothing better than a Seedlip Spice or Garden and tonic! It marks the end of the day, simple to make and depending on what’s growing in the garden or sitting in the fridge, I can choose a nice garnish. If you were to sum up the brand with just three key flavours what would they be? Our first product Seedlip Spice 94 is all about the All Spice Berries so all those warm clove, cinnamon and nutmeg notes. Our second product Seedlip Garden 108 is all about the humble pea. Green and fresh it’s the English countryside personified. Our third product…. Well you’ll just have to wait till next year for that! Where can we find Seedlip? In the UK SEEDLIP is served in over 35 Michelin * Restaurants like The Fat Duck and some of England’s finest 5* Hotels like The Savoy and world famous bars like Dandelyan. 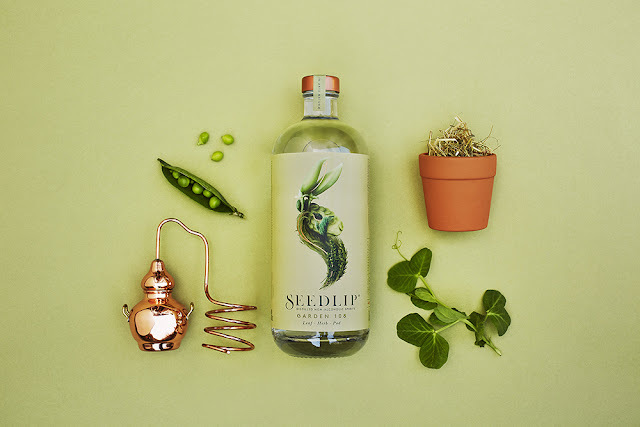 Seedlip is sold in leading luxury stores likes Selfridges, Fortnum & Mason, Harvey Nichols and Daylesford as well as via our website Seedlipdrinks.com. We want to solve the dilemma of ‘what to drink when you’re not drinkingTM’ on a global scale at a premium level as quickly and brilliantly as possible. We have some exciting and terrifying plans for next year including a Dry January and a garden at Chelsea Flower Show!